The National Broadband Network Company this week advertised several dozen new jobs as it dramatically ramped up hiring in the wake of political certainty over its future, including several wireless roles that will play a key role in its rollout of next-generation wireless infrastructure around the nation. The news came as this week Pipe Networks managing director Bevan Slattery and long-time NBN critic Bevan Slattery said the fledgling broadband startup would now need to place a big emphasis on the wireless component of the network’s construction due to Labor’s deal with several independents for the NBN to be rolled out in regional areas first. The wireless positions advertised this week include a project director position for the wireless rollout reporting directly to NBN Co chief technology officer Gary McLaren and a radio planning manager reporting to the company’s general manager of Network Design and Planning. The radio planning manager’s responsibilities will include working with the Australian Communications and Media Authority to obtain the required spectrum licences for the wireless rollout, as well as maintaining those spectrum licences. The successful executive will need to have in-depth knowledge of equipment suporting both the LTE (long term evolution) and WiMAX wireless standards, as well as the ability to work directly with telecommunications vendors. Slattery said this week that NBN Co would likely need to buy back spectrum assets from regional pay TV operator Austar to complete its rollout. The broadcaster was the only player to hold the right spectrum, the executive said, apart from the Government itself, which is planning to release a chunk of spectrum in several years as part of the digital dividend to come from the closure of analogue television broadcasting. A third position appears to relate to in-house NBN Co wireless deployments. 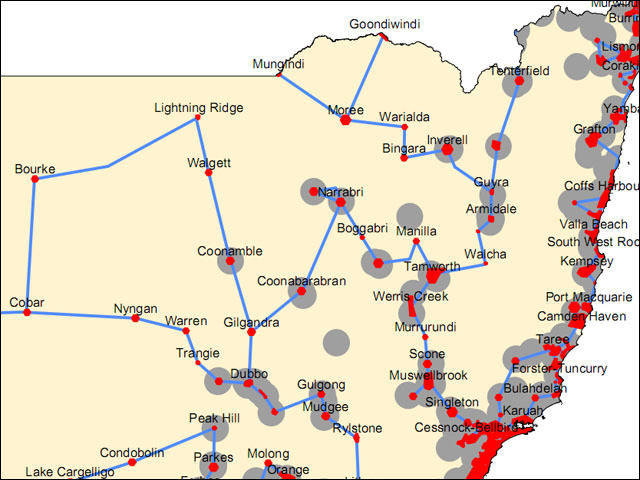 Dubbed the ‘lead house manager — wireless’, the successful appointee will be required to develop a state by state approach to develop a broadband wireless strategy for NBN Co.
NBN Co has also advertised for a wide variety of other staff, including not only management staff but also many engineers and project manager-type roles.